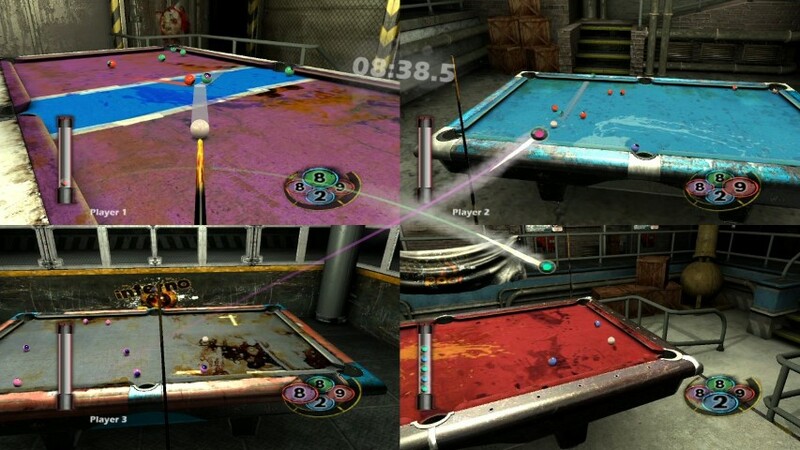 Pool games were once a dime a dozen in the gaming years of yesteryear and thankfully developers Dark Energy Digital have revised this genre in their latest title called Inferno Pool that of course has a killer twist. The game is a PSN network exclusive and contains some great 21st century gaming graphics which is silky smooth on the PlayStation 3. 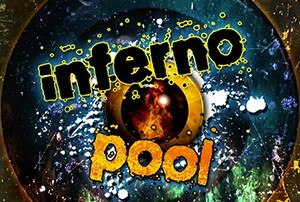 So what makes Inferno Pool different to other pool games? Apart from the two traditional pool modes and some cheesy voice acting, the twist behind Inferno Pool is the “Inferno Mode” which could almost be considered the Extreme Sports of the pool world but we’ll get to this later. The download is around 250 megabytes and once completed, the game automatically installs and it is then available via your console menu. Upon loading the game, the player is treated to some bad 80’s inspired music and the forced yet laughable voice acting. With this is mind, it is quite reminiscent of those classic 80’s shareware games. 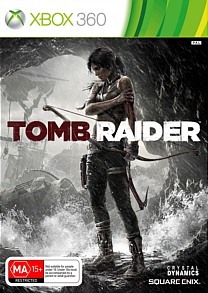 As a single-player game, the game is a tad tedious but where the game does come into play is through its multiplayer aspect. You can brush up your skills with the traditional 8 and 9 ball modes or try your hand at the Inferno mode which is a truly slam bang thankyou ma’am experience through its sheer speed. The premise behind the Inferno mode is to get as many balls in the pockets as possible before the timer runs out. Although it becomes quite frustrating as you’re trying to beat your opponents and the timer. Fortunately it’s quite entertainingly fun and dare I admit it, a little addictive. Inferno is reminiscent of those two-player Tetris and puzzle games because every ball you get in the pocket magically reappears on your opponents table or if you want to be quite nefarious, you can store them up and then as a last hurray, send them over to your pooling enemies. 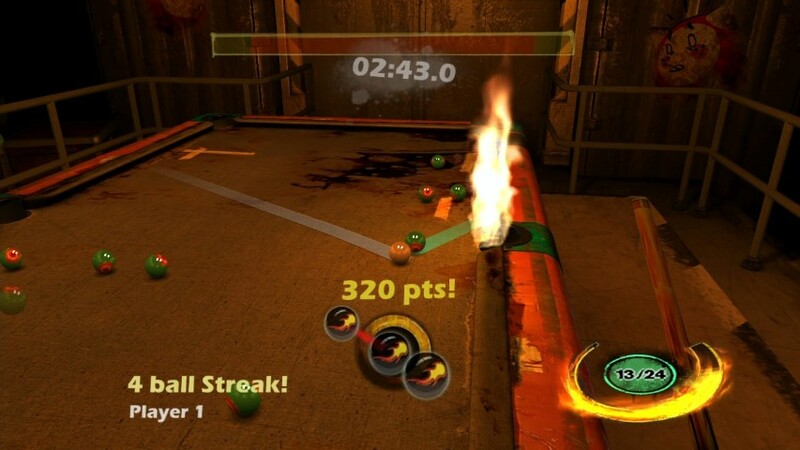 There is of course the Inferno meter that is filled up through a variety of different shots and gameplay moves and when you use it, every ball you pocket, it removes another one from the table. This is the main goal of most online players and it has a very cool effect and almost looks like Predator vision. Needless to say, the Inferno mode requires tactics and guile in order to maximise your stored balls for your enemies. The game does shine is through the realistic ball physics that of course makes it a treat to play. The title also boasts some combination shots which adds scores to your total which is available for others to see on the online leader board. In terms of players, the game supports four players through local play or online play and there are quite a few pool sharks out on the PSN. 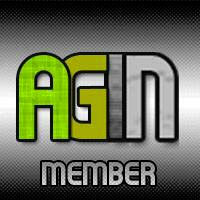 Graphically, the title is good for an online game with some great ball physics and high resolution graphics. On a high definition TV, the graphics are extremely sharp and crisp with a good colour palette. You can move the camera angle around while you play and of course, the game has those classic sounds of pool balls hitting other balls to help in the experience. The music is a little over the top as is the voice in the game but funny enough, it suits this cheesy game. Final words? Inferno Pool supports a great tactical online mode as you battle it out against other Inferno Pool players from around the world. Although it becomes excruciating frustrating while you’re attempting to beat the clock, think about which player you want to target and try to get your own balls pocket, the game is daringly fun. Unfortunately the single-player mode is a little stale and at the end of the day, you can’t beat a real pool table but nevertheless, the gaming experience actually works.